Ocala, Florida — On April 27, 2014 a dog named “Molly” was beaten and nearly stabbed death by Steven Fleming, 49, of Ocala. 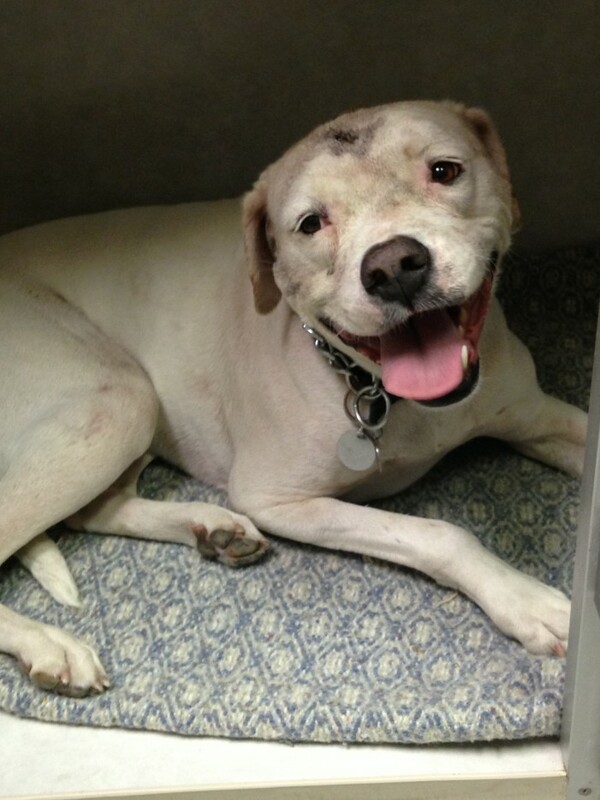 Molly was taken to Marion County Animal Services where she has been receiving exceptional care. Molly was initially listed in critical condition. However, by 2:28 p.m. on April 28, 2014 Molly was listed in stabled condition, but was being monitored very closely. Marion County Animal Services’ Public Information Officer Elaine McClain, told Ocala Post at approximately 3:58 p.m., that Molly is more stable than she was yesterday and the veterinarian is continuing to monitor her progress and treat her pain. Molly is up, moving around and has made excellent progress in only a few days, considering what she has been through. The Ocala Police Department said they will handle the process of establishing who actually owns Molly. 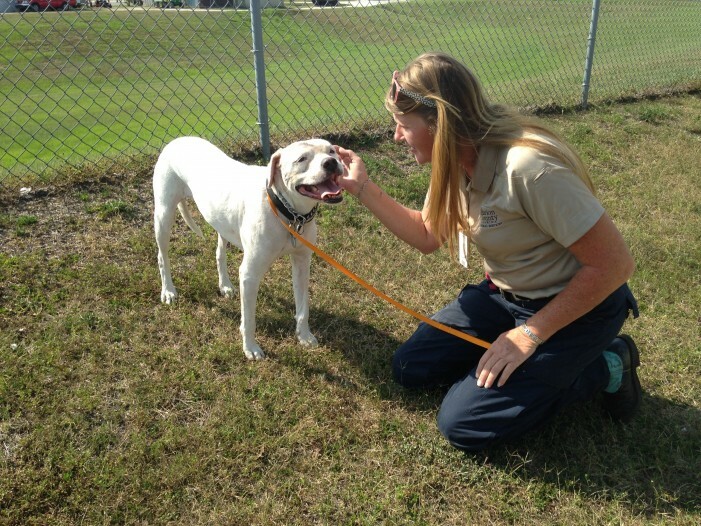 “If deemed necessary, custody will be relinquished over to Animal Services,” said Angy Scroble, Public Information Officer with the Ocala Police Department. Elaine McClain with Marion County Animal Services and Angy Scroble with the Ocala Police Department have both been more than willing to answer Ocala Post’s questions and provide any information that has been requested. Their compassion for Molly is truly exceptional. Molly’s wounds will continue to need care until they are fully healed and her pain will be managed, but it looks like Molly may make a full recovery. According to Angy Scroble with the Ocala Police Department, officer Wabbersen, whom is heading up the investigation, was able to get both Fleming and the girlfriend to voluntarily sign away their rights of ownership of Molly. This negates the need to get a court order terminating their ownership, and speeds up the process. Molly remains with Animal Services and ownership is being given to them. Holds on Molly are for prosecution of the case and Molly’s continued medical treatment. “Hopefully, Animal Services will be able to place Molly in a loving home in the very near future!”, said Angy Scroble.